Added: XES Cloud 3.5.1 offers auto-naming of links to enhance link tracking. Important links such as XMPieRURL, Unsubscribe, View in browser and PDF on demand are automatically tracked by name to identify the specific link performance (for mass email only). If you have XES Client 3.5, you will benefit from the auto-naming link feature and you can also name other links in your email to enhance link tracking. This version supports the Email Service – XES page that has been added to Circle. This page allows you to view the status of your subscription and generate a detailed usage report for a specific time range. Changed: Subscription status details have been moved from the XMPie Email Service store to the Email Service – XES page in Circle. 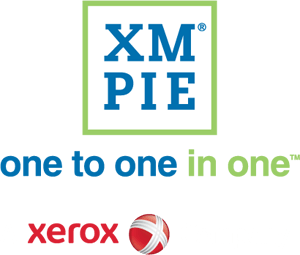 Note that purchase of credits is still done in the XMPie Email Service store. This feature requires installation of the latest version of the uProduce Email Plugin. Contact Support for further information. Added: Bounces are now classified as soft or hard bounces, and the reason for the bounce is kept in the database. Added: Improvement of log management. Added: XES can be configured to be GDPR compliant. If you require GDPR compliance, you must contact Support to configure your XES. This version is a maintenance release that fixes software issues. Added: Architectural changes that improve performance significantly . In order to fully exploit the performance possibilities brought by v.3.3, high-volume senders should request Support to check whether their account configuration is in line with their sending needs. Changed: There is no longer a need to split jobs into many small batches. It is recommended to split the entire job into four batches or multiples of 4 (4, 8, 16, etc). Changed: XES now uses Amazon’s native technology for tracking, resulting in enhanced performance. As a result, the wrapping of the link changes and the wrapping domain tracking.xmpxess.com is no longer used. If you want triggered emails to be affected by this, installation of the latest uProduce Email Plugin is required. Contact Support for further information. If you decide not to upgrade, tracking and triggered emails will remain fully functional, however triggered emails will not benefit from enhanced performance. Fixed: Users can now send test emails to multiple addresses. Fixed: The “Reply to” field can now contain ADORs. This requires installation of the latest version of the uProduce Email Plugin. Contact Support for further information. Fixed: Ability to use ADOR in the Reply-To Header. Fixed: Disable direct bounce/complaint forwarding for Circle verified email addresses. Added: Improvements in performance and stability of large jobs. Fixed: Special characters included in email links now displayed correctly (135157). Fixed: From email address verification is now performed when sending a test email (135104). Fixed: The Verification Status section in the uProduce Email Delivery Provider page now displays long lists of over 100 sender addresses (135080). Fixed: URLs which were very long (e.g. unsubscribe link) have been shortened and now work in Outlook 2010 and earlier (135076). Fixed: XES now supports multiple addresses in the To field of Transactional emails in uStore (127928). Fixed: Triggered email complaints and bounces are now tracked (135041). Known Issue: XES does not support multiple addresses in the To field of Transactional emails in uStore (127928). Known Issue: XES does not support multiple addresses in the To field in Test emails in Circle and uProduce (135045). Changed: XES integration with Amazon’s Simple Email Service as the XES email delivery provider. Changed: XES will no longer work with ExactTarget starting on July 1, 2017. Changed: Email Activities in uProduce and Email touhchpoints in Circle must be changed to the new uProduce Email Plugin and the From email addresses must be verified. More info. Changed: Bounced emails are now recorded as unsubscribed emails. When sending emails to these address, the emails is not send to these address and the preflight considers these as failures. Recommendation: If your list includes a high number of bounced emails, increase the % (percent) / number of recipients emails permitted in the Preflight. Changed: Products which use an ADOR in the sender address (e.g., Refer a Friend email), are not supported because the value of this ADOR is not verified. Workaround: Use a static verified email address in the From email and use an ADOR (e.g., referrer’s name) in the From name. Changed: uStore email products and transnational emails must be changed to the new uProduce Email Plugin and the From email addresses must be verified. More info. Added: Advanced Sender Package is available. It includes DKIM, SPF and DMARC Authentication to improve deliverability. More info. Improved: DKIM Authentication is now available for no extra charge. It is used to prevent email spoofing and is available on request. Improved: Email content is not longer limited to 40 ADORs. Improved: Triggered email send time is 60 times faster than before (2-3 seconds versus 120-180 seconds). Known Issue: In uStore, it is no longer possible to use an ADOR in the From email address if the address is supplied by the Storefront user via customization or in the recipient list (134397). Known Issue: After migration, bounced emails are recorded as unsubscribed emails (134382). Known Issue: Triggered email complaints and bounces are not tracked (135041).